When I was informed about the n-gage app, I was very reluctant to try out one more messenger app and thought that it would be the same like its predecessors. But let me confess, I was amazingly surprised with the features and the attention the app developers have given on safety features. Privacy in the virtual world is most sort after these days and n-gage aims to provide complete privacy and safety to the user for their content, chat and pictures. The app has unique feature call blink, which helps the chat disappear from the other device almost like Snapchat, but with n-gage you can time the chat. There is a stealth mode, which enables you to be invisible to people, even if you are online. Apart, what’s more interesting is that you can disable the option to take screenshot, so if you have a little doubt that the other person can take a screenshot of your chat or picture, you can prevent the same. Another very unique feature is that you can even recall a particular message or entire chat from a conversation. Just in case you lose your mobile, you can log on the web version of n-gage and wipe out your entire n-gage chat data and contacts. Scramble is another very useful feature. If you are in a crowded place with people around or if you think that the person you are sending message will be at a place where the message can be viewed by many people, you can use the scramble feature. Once applied, the feature makes the chat illegible and only the intended recipient can see the message with some simple taps. This feature is very useful as now a days, people are more interested in others’ mobile than their own and are constantly snooping around. The fun element of the app is in its personalization option with doodle plus and n-stickers and n-cards. One can express with stickers, pictures or simply draw and share the image with the other person. You can also have different themes for different people and groups. n-gage is a first app to cross the platform barrier and you can chat or even do video calls across all the other apps like WeChat, Hike or WhatsApp. The app has an over 45 languages and popular Indian languages such as Punjabi, Hindi, Gujarati and Bengali. There is ‘Know’ button, which provides information on various subjects. 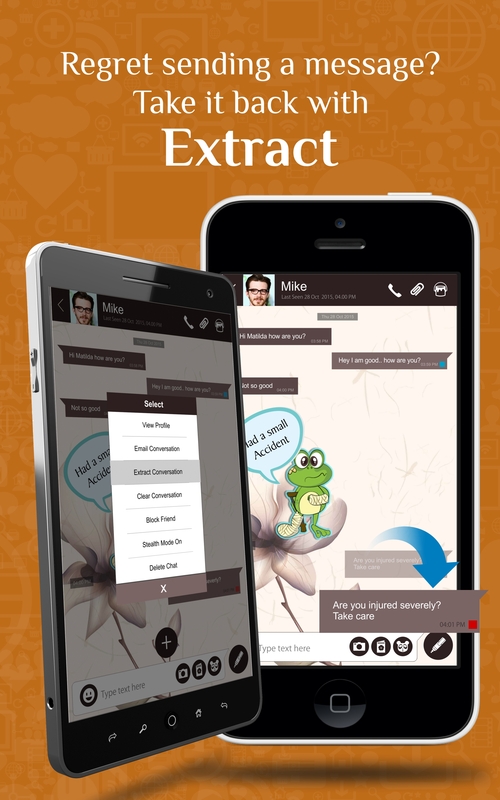 Overall, it’s a very useful app for people who love privacy and fun at the same time. So go ahead, check for yourself and chat safely! You can download the n-gage app for Android and iOS. If you really like this app, do not forget to share the story with friends and let them know about this interesting mobile app.